Dr. Allen came to Vermont in 1967 after receiving his Ph.D. from the University of Illinois, where he studied with Therald Moeller. He has been a Senior Visitor at Oxford and Edinburgh and a consultant to several corporations. He is on the editorial boards of the Journal of Inorganic and Organometallic Polymers, Phosphorus Sulfur Silicon and Related Elements, Recent Patents in Materials Science and Research Letters in Inorganic Chemistry. 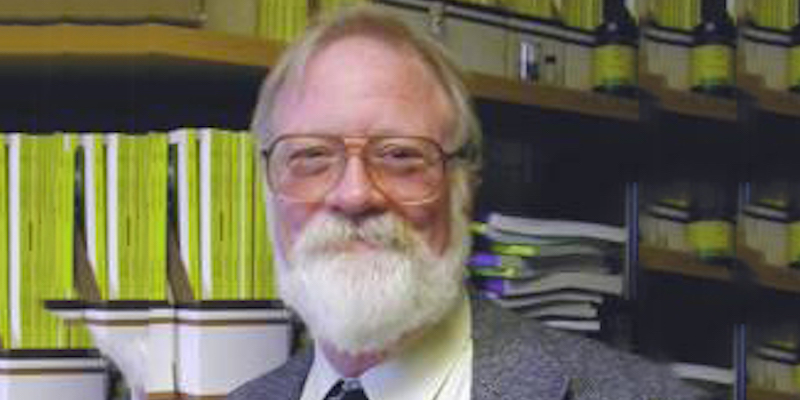 He was selected as the University Scholar in the Physical Sciences 1982-83, received the George V. Kidder Outstanding Faculty Award in 1986, was named a Mass High Tech "Allstar" in 2000, recieved the Dean's lecture award from the College of Arts and Sciences and the Luther F. Hackett award from the Vermont Technology Council for contributions to economic development in Vermont in 2005. He was elected to the Vermont Academy of Science and Engineering in 2005 and is President of that organization. The research program in Dr. Allen's group was devoted to the study of inorganic rings and polymers. The inorganic ring chemistry presents interesting questions of electronic structure, reactivity and mechanism. Additionally, these ring systems may be transformed into hybrid inorganic-organic polymers which are new classes of materials with interesting properties having applications such as flame retardency, polymeric electron transfer or as membranes. The research interests of the student allowed for training in inorganic chemistry, polymer chemistry or a combination of the two. Allen, C.W. "Electronic Structure and Mechanism as Guides to the Design of Hybrid Inorganic-Organic Polymers", Inorg. Chim. Acta 2011, 372, 32. Hayes, R.F. ; Allen, C.W. "Polymerization of Cyclophosphazenes with Spirocyclic Methacrylate Containing Substituents", J. Inorg. Organomet. Polym. Mater., 2010, 20, 528. Carter, K.C. ; Calichman, M.; Allen, C.W. "Stereodirective Effects in Mixed Substituent Vinyloxycyclotriphosphazenes", Inorg. Chem.,2009, 48, 7576. Hagberg, E.C. ; Hart, M.W. ;Cong, L.;Allen, C,W. ; Carter, K.R. "Cyclophosphazene Containing Polymers as Imprint Lithography Resists", J.Inorg. Organomet. Polym. Mater.,2007, 17, 377. Calichman, M; Derecskei-Kovacs, A. ; Allen, C.W. "The Origin of Endocyclic Bond Length Variations in Disubstituted Cyclotriphosphazenes", Inorg.Chem.,2007,46, 2011. Myer, C.N. ; C.W.Allen, C.W. "Copolymerization of Chlorocyclotriphosphazene Derivatives Containing the Methacyclylbutenedioxy and N-(Ferrocenylmethylamino) Substituents', J. Inorg. Organomet. Polym.Materials, 2007,17,143. Freund, A.S.; Calichman, M.; Allen, C.W. "The Reactions of Hexafluorocyclotriphosphazene with Sodium Phenoxide," Z. Anorg. Allgem. Chem., 2004, 630, 2059.